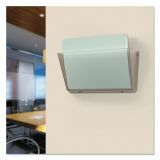 Easily mounts to wall (two screws and mounting tape included). 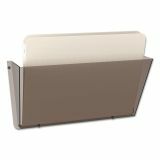 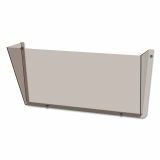 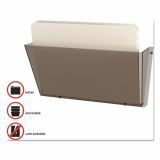 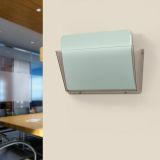 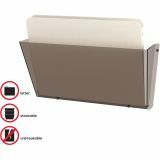 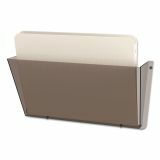 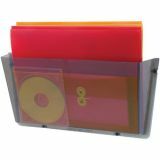 deflecto Unbreakable DocuPocket Wall File, Letter, 14 1/2 x 3 x 6 1/2, Smoke - Wall pocket is perfect for holding important documents, file folders, magazines and more. Mount easily with included tape and screws.